Blogmas what can I say about Blogmas, it was something I wanted to do and had wanted to do for a while, I loved the idea of writing everyday, my blog helps me to write and get things out and I thought giving myself that time each day will make me so much more calmer over the christmas period. I wanted to get people involved and so I asked my friends if they would like to be apart of Blogmas, Jordan and Georgie were amazing and there posts have been so good over December, I have loved reading them. I was totally prepared for blogmas, I had each day planned out in my diary, I had drafted a few and was looking forward to writing each day too. The only thing I didn't really take into consideration was work. Working in retail is hard over christmas, I worked non stop from the 16th till 24th December, no days off and mainly working from 830am till about 7pm, getting home all I wanted to do was sleep. Looking forward to next year I can be a lot more prepared for what I want to do. I do want to do it again next year I just think instead of writing each day I will begin in write my posts in October or November, then have them all edited and ready to post for December. Then each day I will post it and publicise it, which I can easily do on my breaks. I have learnt a lot about blogging in the last 2 weeks, like how much I missed it, how it helps me to relax and how stressed I get when I don't write. So for next year I will plan blogmas a lot better, prepare to not write for 2 weeks and try not to get to stressed out if I can't write. Thank you to everyone who read our blogs and I hoped you enjoyed them. Something has been bugging .... no not bugging, that is too nice a word, something has been down right peeing me off for about a week and a half and I am finally ready to talk about it. 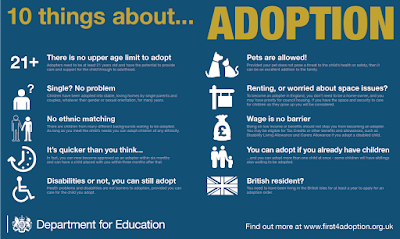 There are thousands of children in the UK who are waiting to be adopted, I see lots of adverts looking for people who are interested in adopting. There is even a week in October dedicated to making people aware of children in the adoption system. You see posts about how it doesn't matter if you are a single person, a couple, gay or straight and there was even a push to find adoptive parents from different ethnic backgrounds. Confession is the name nail biting is the game!!! I have always been a nail biter, call it anxiety, boredom whatever, but I have done it forever. 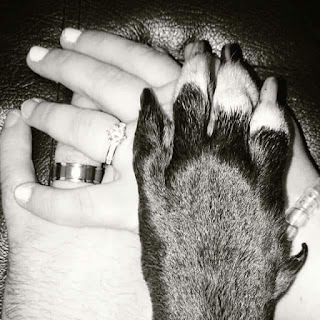 When Paul proposed I did what any bride to be would do and scrolled through Instagram for inspiration. One picture kept coming up, where the bride and groom have a hands picture showing their wedding rings. I looked at my nails and thought oh dear god mine are horrible!! I looked into acrylic nails and gel nails and decided to go with gels. They seemed to be a good to help my nails grow and because they went on top of my own nails like a nail varnish, I wouldn't need to worry about my nails being too long if I got acrylics. Luscious, juicy, full and plump. These are all words we use to describe our lovely lips! Sadly for me, most of the time the words I use are cracked, dry and peeling and trust me these are words you never want use for anything let alone your lips. I have had so many problems with my lips from peeling when I wear matte lipsticks, to being soar and cracking in the winter. I can't be the only person in the world that has so many problems with my lips, so I thought I would try a few different brands of lip care products and see which I find is the better one for me, then give all you gorgeous people my advice.